Over the years I have lived in multiple states, often at the same time, and visited others regularly. With all this moving about, it is important to have a few places that are familiar to provide a level of comfort and familiarity. Adding to this, I am a fairly routine-oriented person. Once I find a place that I like, I tend to go there on the regular. This does not mean that I go to the same place everyday. Instead, I am more ritualistic. As a weekly pattern is established, I tend to go to certain places on certain days or on certain occasions. Indeed, I usually will order the same item or rotate between a few favorite items after a trial period of sampling multiple different choices has passed. As such, I have amassed a list of favorite places to eat in particular cities as well as a list of corresponding menu items. 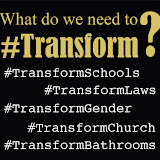 If there is any pedagogical value to this list, beyond educating on my own particular tastes, it is that these eateries are part of a larger strategy of safety for a transgender woman traversing a wide range of places with a wide range of potential dangers. In short, this list of locations represents a few trans friendly locations that I have found to eat. Furthermore, many places I visit go through an initial adjustment phase as they register the trans customer who has shown up to eat. Likely a high number of these locations may have never consciously fed a trans person previously. The advantage of going to the same location regularly is that the staff and fellow diners become accustomed to the trans woman who visits on a given day and orders a given food. This process of getting to know me has an added benefit: familiarity breeds affection. In a new city or a city that I am visiting, I may not have many safe places that I can go if I am being harassed. Because eating is essential for life, the first and most consistent safe spaces I tend to locate are places that I eat. In the best case scenarios, I make friends with the staff. Even if friendships are not formed, by becoming a "regular" there is a sense that if I began to be harassed at one of my usual haunts, the staff who knew me would be more likely to come to my defense. All that said, comfort food is called comfort food for a reason. Sometimes after a day of interactions with transphobic people, it feels good to order a plate of some self-care. Beyond personal habit and survival, this list includes numerous locations that housed dates with my partner, lunch-dates with friends, or other memories on the road and with family. Going through this list was a fun way to share a few short memories about food, about special places, and the people I've met along the way. I hope you enjoy reading and if you are ever in town, I hope you enjoy a meal as well! Living in Maine was awful lonely. 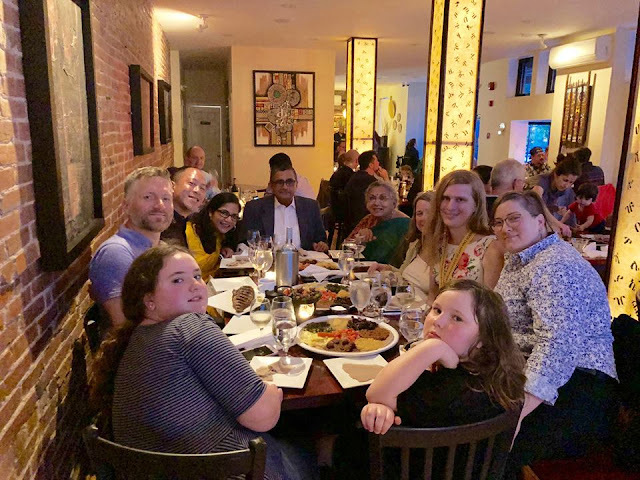 Setting aside how far Maine was from my friends and colleagues in the major cities, the circumstances of our arrival in the state made it very difficult to make friends. The town and position that my now spouse held made it dangerous for my partner and I to be seen as such. This was a town and congregation that was evidently uncomfortable with female pastors. We were told before we arrived that a queer female pastor would not be hired or held in the job. Remember, churches are not like other professions. You can be fired for being gay and it was not long before such a campaign of suspicious persons began putting pressure on us to go. Within these contexts, my presence in the home and raising the child was hard enough to explain. True friendship requires honesty and such honesty in our town could spell financial ruin for the family. All this totaled together to equal a lack of friends or places I could comfortably relax in our town. 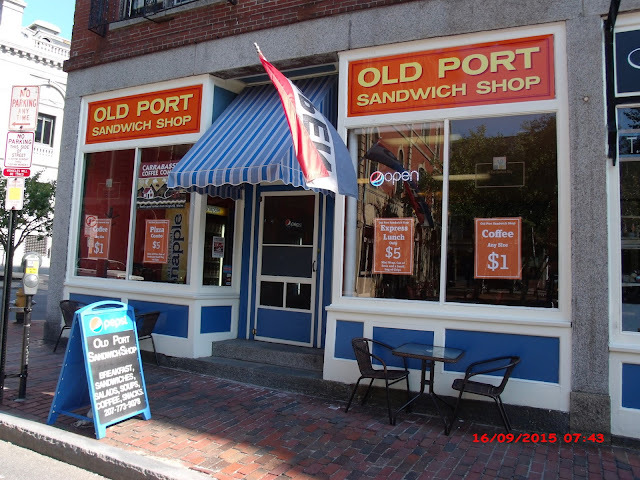 After several months, the alienation became too much and I began a weekly venture up to Portland, Maine where I had heard of a queer women owned comic book store. Thus began my weekly trip, taking several hours, to and from Portland every Wednesday. Because these trips were so long and had to be scheduled during school hours so I could still take care of the children, I would usually go to Portland around lunch-time. It was then very early on, if not immediately, that I had stumbled upon a sandwich shop right around the corner of the comic store. I ordered my standard test for any such sandwich shop, a BLT, and sat down to eat while I read my new books. The BLT is a good test of an eatery in my opinion because it is so basic. If the BLT can be done well while also elevating the dish, the place is a winner. Well the food was good, it passed that test. But what kept me coming back was that in the first few visits, I noticed a friend who was much like me. Only later did I discover that they were the owner. Their story is their own and being from another country and another generation, the language we might use were not always the same. Yet to a casual observer stumbling on the shop, as many of the visitors much have been, the scene would have been one of a trans woman sitting down to lunch at an establishment owned and operated by another trans woman. We would sometimes laugh that unlike most other restaurants, in this sandwich shop being trans was the norm and being cisgender was the aberration. And so for years I would go get my comics from a lesbian owned store and then go read them at a trans owned sandwich shop. To this day, I miss seeing my friend each Wednesday. Given hormones and inheritances, cravings can be explained but are nonetheless hard to argue. Likewise, with our fandoms. As a medievalist I hear about all sorts of historical novelties and attractions from locals. Not all of them are medieval (people tend to conflate the medieval with anything pre-19th century) and few of them are especially historically accurate, but I tend to love most of them. I love a good replica sword or a tin suit of armor on the walls or a menu's attempt at "old English" which is really just modern English with some anachronistic grammar in funky fonts. As such, it did not take me long to get directed to Henry VIII Carvery. It is easy to see but also easy to miss, located in a stretch of road between towns in a region and state through which folk tend to drive very fast. This innocuous little yellow building with the historical sounding name is just the sort of place that locals love and that they share with other visitors in the know. While the novelties are what drew me to the carvery it was the food that kept me craving and returning. Before you even begin eating you get to see the workers cut apart the large pieces of meat (some brined, some seemingly smoked) into chunks or strips to be mixed with various veggies and sauces. Once I took my first bite of the title sandwich, I was hooked. It is an uncommon kind of sandwich both for the high quality of the meat but also the use of horseradish sauce. I brought my partner. I brought our kids. I went their often enough to make good use out of the punch-card which earned me some free food. 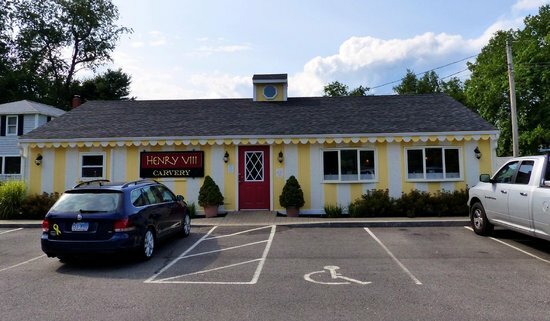 Even though I did not go to Henry VIII's as often as other places, when I got the craving for one of their sandwiches it was hard for any other foods to do the job. My love brought me Henry VIII's on occasions when I was having cravings, was ill, or when I just needed a pick-me-up. It is worth noting that around this time I had been experiencing hormone replacement therapy as part of my medical transitioning and the affirmation of my gender. Among the noticeable changes were in my appetites and cravings. Olives, which I had hitherto found revolting, I suddenly loved were one such craving. But Henry III's sandwiches were another that hit at the right time and the right place in my stomach. I still get those cravings. It all began with me running to the restroom for fear that I was about to vomit. All the while, as I was pushing past the crowds, was that I had just ingested poison. After splashing water on my face, the need to expel what I had just eaten abated. Then I went back for another. This was my first experience of F.U. wings. My family had attended a hot wing contest in town, where various eateries in mid-Connecticut came to show off their various chicken wing experiments in different categories. There were sweet, sugary wings and those that tasted like donuts. Then there were the various kinds of hot wings. The F.U. wings from local bar, the Groggy Frogg, surpassed all of them by leaps and bounds. It was only later that I discovered that they were the brainchild of the husband of my new friend, who was the head cook at the bar. 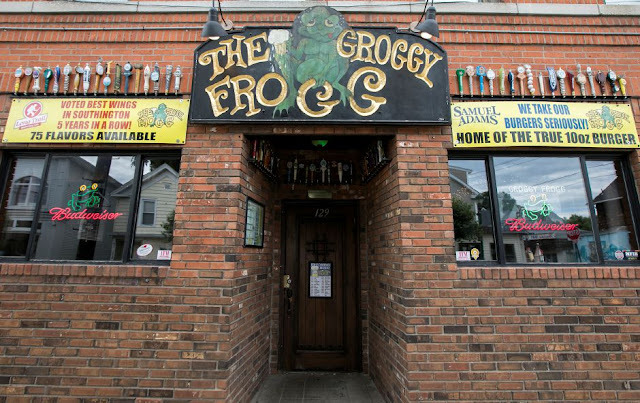 He was a man who took pride in his award winning wings and the wide variety of wings they sold at the Groggy Frogg. Part of this pride was in using no pepper extract in the F.U. sauce. As anyone who make a sport of trying spicy food know all too well, it is quite easy to make painfully spicy food just by adding the chemical extract that makes peppers hot. It is harder, more expensive, and more flavorful to make such sauces using only whole peppers. This harder course is the way the Groggy Frogg went, resulting in a sauce that was awfully painful but also awfully delicious. Yet it is not because of taste alone that the wings (including some F.U. wings) found their way into my wedding. A year or so before the wedding our younger child had signed up for karate lessons. I would bring them and wait with the other parents during the lesson from a room on the other side of a large window. Often, I would slink back even further to the far side of the hallway closer to the door. I could still see my child but had a degree of distance from the other parents. It is there that I met the best friend I was to make in Connecticut. As she tells the story, I seemed to look at the other parents (all former football players and cheerleaders from the local high school) with the same sense of unease that she did. At that, she knew she wanted to be friends. It was to our greater fortune that our older and younger children were both around the same ages. Even after we moved from Connecticut, my oldest daughter stills keeps in close communication with her oldest. Thus a family friendship began with the whole group getting together for parties or just to hang out during breaks and weekends. It was not long before we found out that her husband was responsible for those F.U. wings and when our wedding came around, we ordered a box load of various wings (Hot, Mild, Asian Invasion, and F.U.) to serve at our rehearsal dinner. For reasons that are not fully explained, my husbutch mixed the F.U. wings together with the regular hot wings. What resulted was a bit of a Russian Roulette where unsuspecting diners would jump up from there seats shouting, "we found another one!" Then they would go rushing from a cup of something to drown the flames. The wings certainly formed memories and the family who made them formed lasting friendships. Indeed, the final meal we had in Connecticut before we moved away was an order of wings from our friends at the Groggy Frogg. At this point it should be evident that not all the places listed are here because they are off the beaten road little hideaways but because they hold some significant meaning in my life story. In general, my family loves Panera Bread and specifically one location (which I am not sure still exists) has a special place in my heart. 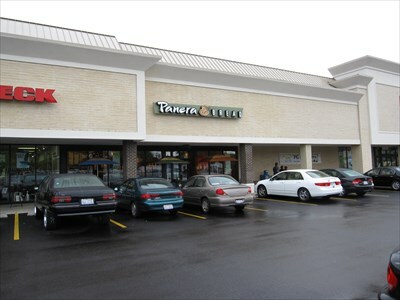 The Panera Bread on Roosevelt Road in Glen Ellyn, located near the Jewel-Osco grocery store and a former Blockbuster Video, is the place that I would meet once a summer with my good friend Michael and our favorite middle school teacher, Ms. H. While we are older now and we go by first names or simply "friend," my impulse to say Ms. H (name redacted) is still there. Ms. H. is the reason that my friend Michael and I met. We found out later that she moved seats around during our study hall so we would sit next to each other, resulting in us getting to know each other and making friends. This extra care is just part of what made Ms. H. such an intentional and extraordinary teacher. In honor of her and our friendship, from high school and well into our twenties (until I moved to the east coast) we would get together once a summer to catch up on how we were all doing. Often, we would share books and music; Michael is a music fanatic with a sound-mixing degree and Ms. H. was our English teacher - more on this later. This sort of check-in was a wonderful gift from our favorite middle school teacher, as she would offer advice on our growing lives and concerns. I can only hope that we in turn added joy and reward to her life as well. At this point it is worth saying that Ms. H. may very well be the reason I got a Ph.D. in Literature. Going into her class, I had been on a road towards the space sciences, a journey I had been set on since 1st grade and which culminated on my summer at Space Camp's Florida location where I had the opportunity to see the international space station before it went into orbit. Alongside this interest in the sciences, however, I had been an active reader and writer. In 3rd grade I wrote a series of mystery short stories which my teacher at the time (Ms. Greer) allowed me to share with the class on numerous occasions. By middle school, I had lost what few friends I had previously and the bullying of the previous years amping up. In this isolation, books became my best friends. Already doing fairly well in school, my pedantry in studying made my classes rather dull as the teachers worked to get the rest of the class caught up. Feeling bored and impatient, I began sneaking books under my desk in class and trying to read while the teachers worked with the other students. Most teachers eventually caught onto what I was doing and not wanting to have my books taken away, I submitted to just being bored. But Ms. H. was different. She not only allowed me to read in class, she would make book recommendations. She told me that as long as I participated and did well in the class work, I did not have to hide the fact I was doing other reading at the same time. I imagine one of the benefits of this was that my hand was not perpetually raised when questions about the readings were asked, which gave room for other students to answer and made me seem to my peers at least a little less pedantic. Well, by the end of the year I had gotten enough non-STEM literature read that I declared I would not longer strive to work at N.A.S.A. and instead become an English Professor. When asked what grade I wanted to teach, I laughed and said college (hence my use of the word "professor") because I held onto the hope that by that age my students would be a bit more devoted to their studies than I knew my middle school peers to be. However pedantic I was as a child, I nonetheless see this at an important pivot point in my professional life and Ms. H., my friend Michael, and Panera play important roles in that story. Also: the Sierra Turkey sandwich is no longer listed on Panera's menu but if you ask for it directly they will make one for you! I never got into breakfast. Often, I will miss a morning meal and just power through until lunch. For a long time, I did not understand the appeal of "breakfast for dinner" because breakfast seemed to be the weakest of the meals. This prejudice, however, was partially based on having poor ambassadors for the great nation of breakfast. I rarely eat cereal, occasionally enjoying some Special K or sweet cereals which I regard as a candy-like dessert. In general, I don't like anything sweet in the morning, even fruits. I like eggs but generally only if I am the one cooking them. I like cooking eggs perhaps more than eating them. I especially loath fast-food eggs which generally taste to me like yellow styrofoam. Most of all, I don't eat very many baked pastries. Cakes, donuts, bagels, and breads are not high on my list of meals. Added together, disliking sweet things in the morning, being picky about eggs, unimpressed by cereal, and avoidant of carbs all but demolishes most breakfast options that are usually presented to me. If presented with the choice, I usually would rather skip the food in favor of sleep or work. Eventually, I did have to admit that I like breakfast if done right. Almost always, this means a slow-paced sit down restaurant with family or friends. Most of all, if I am going out to eat breakfast (not just ordering breakfast for someone else, like for my kids) it is usually with my mom. She likes slow-paced breakfasts too at small chain stores in or around our hometown of Wheaton, Illinois. 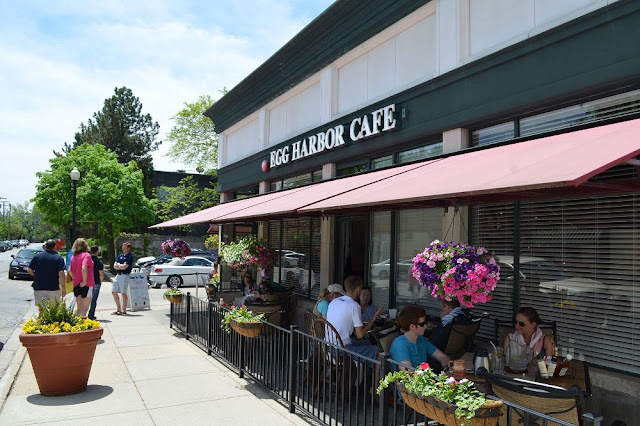 Her favorite place is Egg Harbor Cafe. Now, there are fancier places for breakfast that have impressed me, giving me some of my favorites: an excellent Biscuits and Gravy, Chicken-Fried-Steak, Smoked Herring or Lox. But few foods beat the moments and memories I share during breakfast with my mom. Each member of the family have an Egg Harbor Mug purchased for them by my mom. That said, the food is pretty good too! My favorite is the Chorizo Chilaquiles with a side of the cheesy grits. They have learned to bring me extra hot sauce as well. In the end, while I would usually prefer sleeping in or getting work done, I will wake up early and wait on the day's writing to get hot chillies and sausage at my mom's favorite breakfast place!